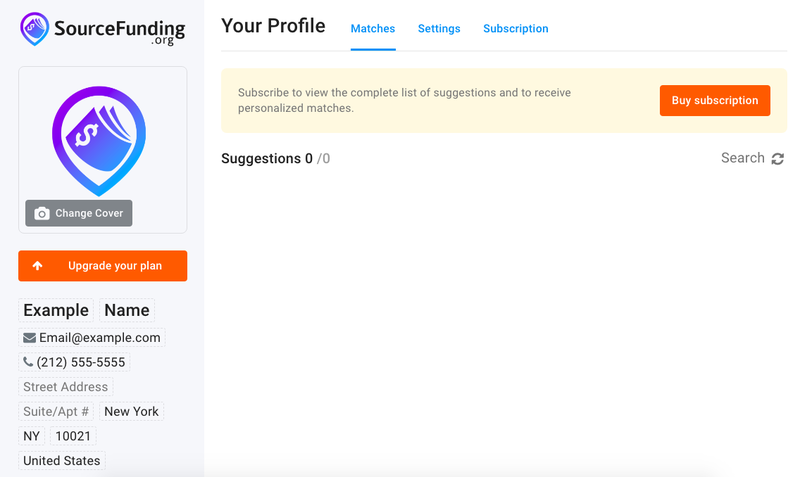 How do I view my funding matches? 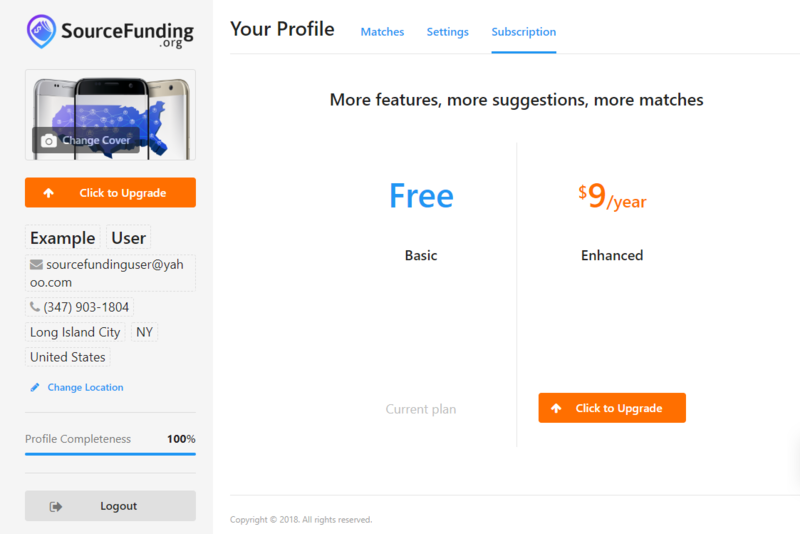 Complete your profile and click on Click to Upgrade. 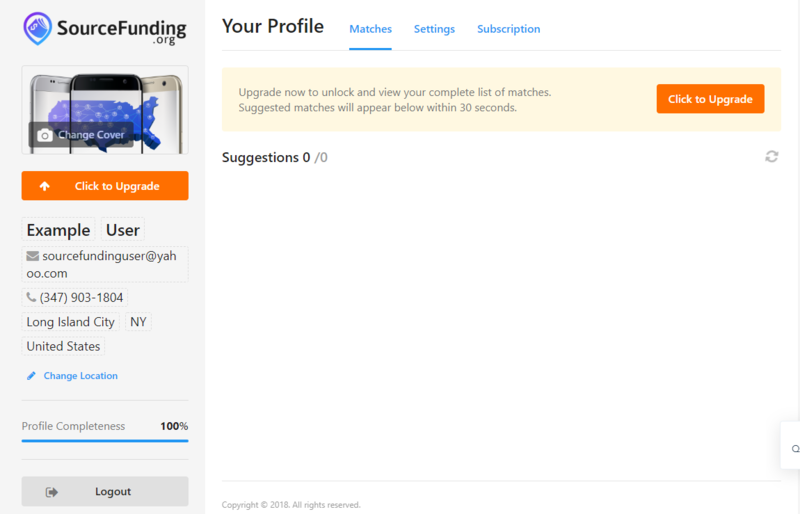 To view your funding matches, make sure that your Funding Profile, Match Preferences and contact info in the sidebar are 100% complete - as indicated in the progress bar in the bottom left. 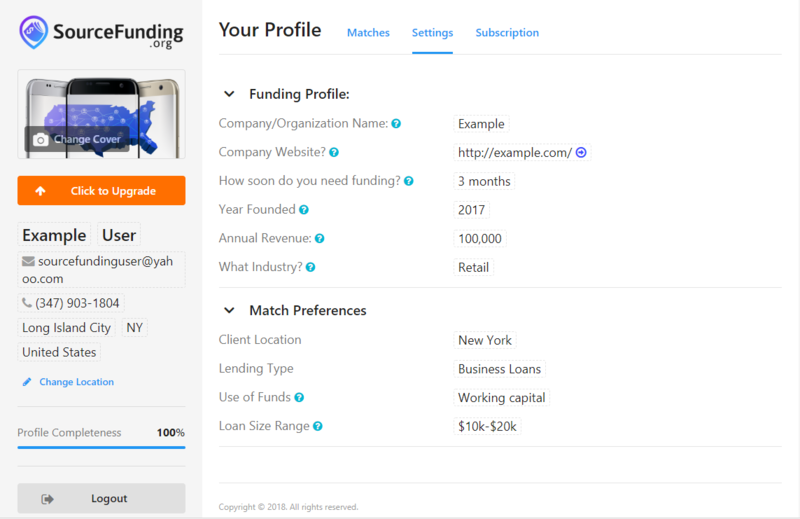 Click on the blue Matches tab above your Funding Profile. 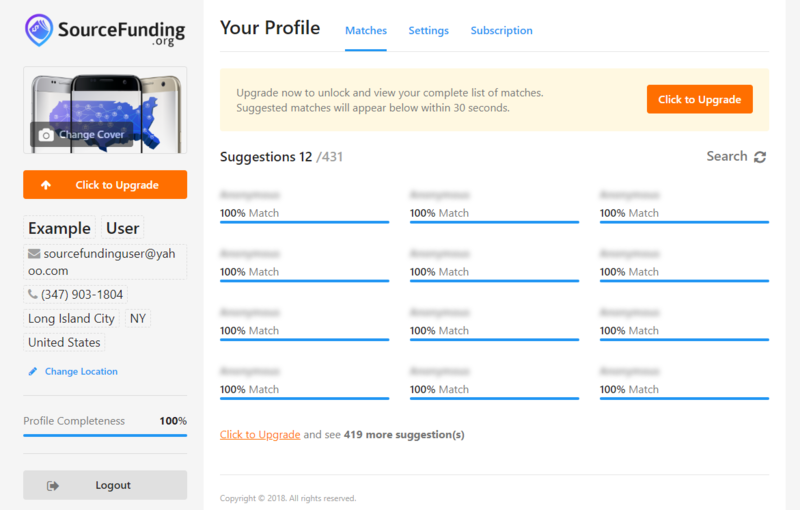 Your new suggestions will load automatically in approximately 30 seconds. Click on one of the orange Click to Upgrade buttons to upgrade your profile - only $9 for a year of matching with America's largest network of 14,323 community lenders.